Fantastic, but I’m going to need a bit more information now. Fortunately, there’s a whole internet out there, so a bit more information wasn’t a problem. 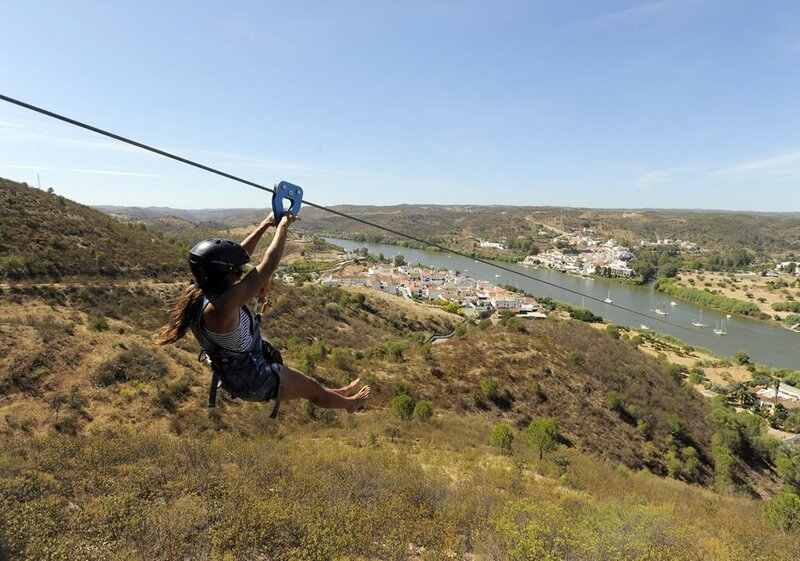 Our visitors are provided a unique experience crossing over the River Guadiana from Spain to Portugal on the first cross-border zip line in the world. Along the 720 metres joining the two countries users cross over the river at speeds between 70 and 80 kilometres per hour, literally flying through time and gaining one hour because of the time zone change between both countries. 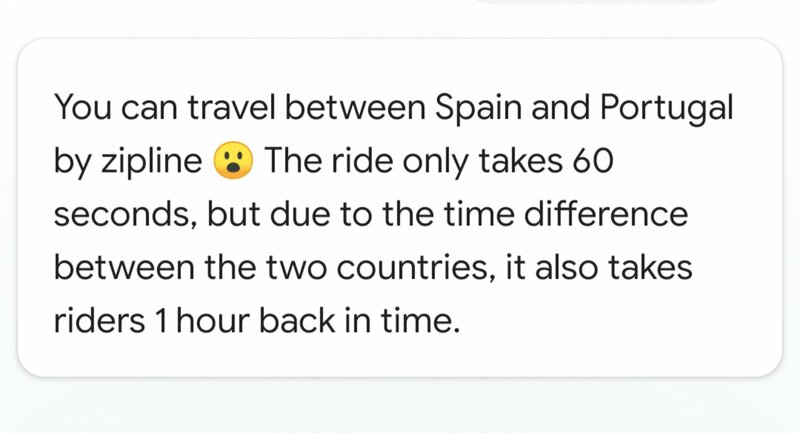 So technically, the ride actually lasts 59 minutes. Once you arrive in Portugal (there’s absolutely no mention of needing a passport, but then if you’re in Spain then you are probably allowed into Portugal anyway, right?) you walk down to the river that you’ve just whizzed over and you catch a ferry back to Spain. Your ferry trip is included in your zipline price. Bargain. I have once swum across the border between South Africa and Namibia and there was also an hour difference in time then. It was also much slower than 70 to 80 kph. Chad le Clos, I am not. However, it was much quicker than actually legally going across the border. And with fewer passports involved. Límite Zero isn’t going to make it onto my bucket list, but if I ever do make it to the south of Spain, I might shell out the €20 for a ride. After all, it is a pretty unique experience.